OwnCloud is the Penn Manor recommended way to keep your files safe. So how can you keep your files on OwnCloud without the hassle of copying files all over the place? Introducing: The Shortcut! In three easy steps. This section applies to the operating systems indicated by the icons below. 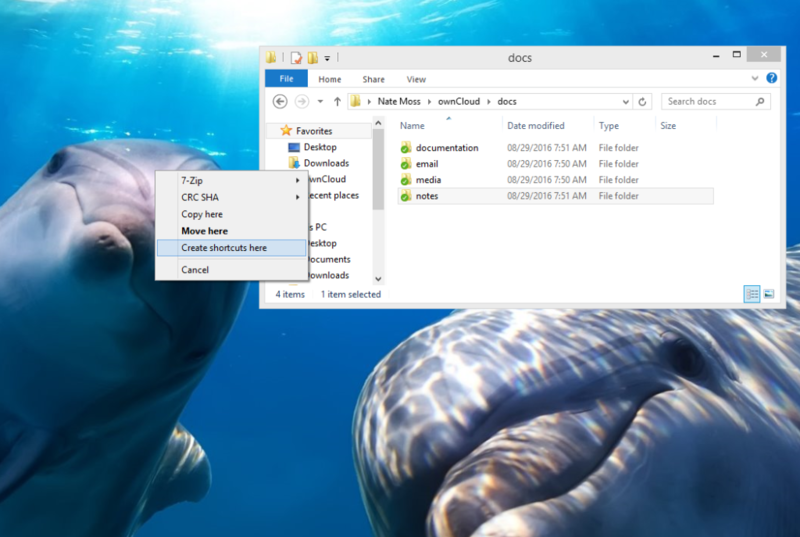 Now you can drag files into this folder, which is already on owncloud! Now, you can easily work from your ownCloud and be sure you’re files are safe, even if something were to happen to your computer. The same thing can be done on Linux and Mac. Here are the minor differences. 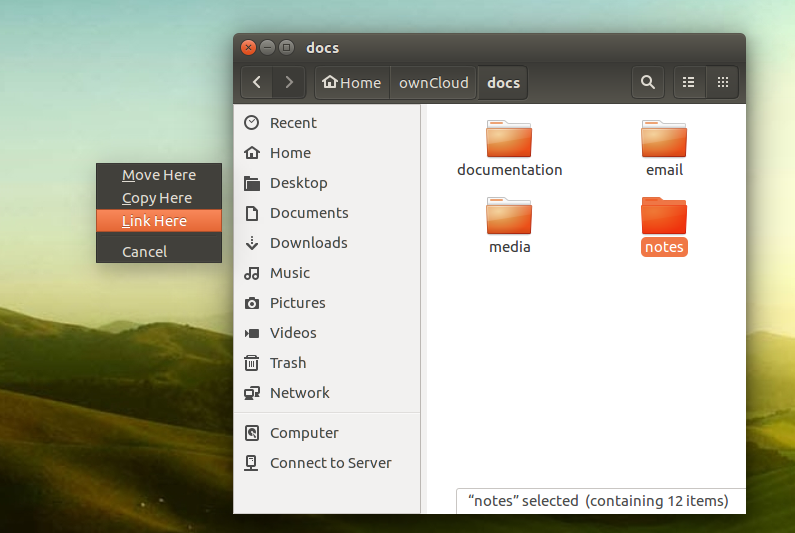 In Ubuntu, click and start dragging the folder you would like to make a shortcut to, then press and hold the Alt key. This will give you a similar prompt. Select “Link Here” to create the shortcut which will work the same way as the example above. 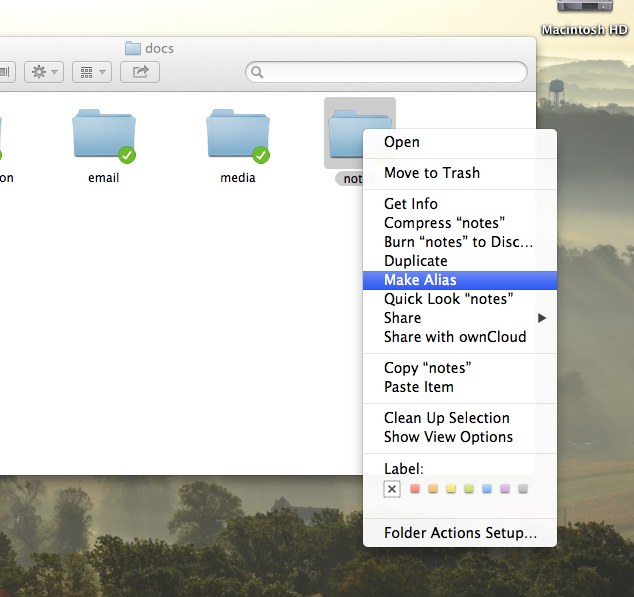 On Mac, right click the folder and select “Make Alias”, then drag the link to your desktop. 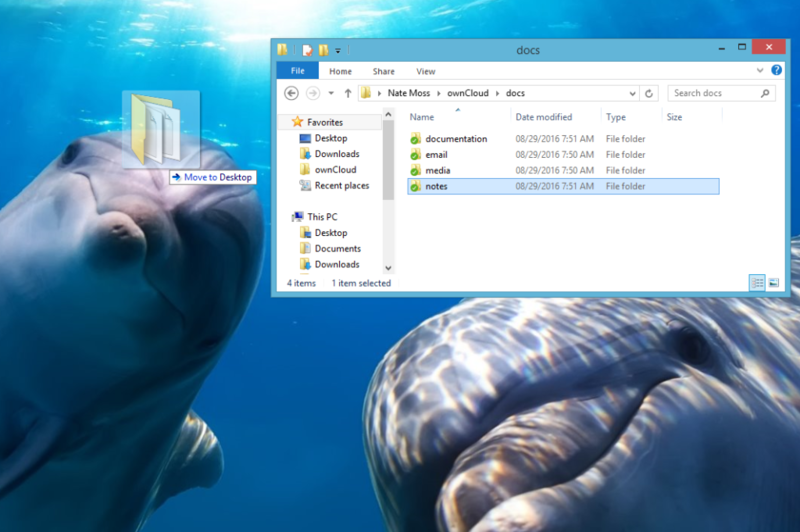 In File Explorer (or Nautilus on Ubuntu), select a file, and press the F2 key on your keyboard. Then you can simply type the new name of the file. Mac has a very similar shortcut. Select a file in Finder, and press the return key. 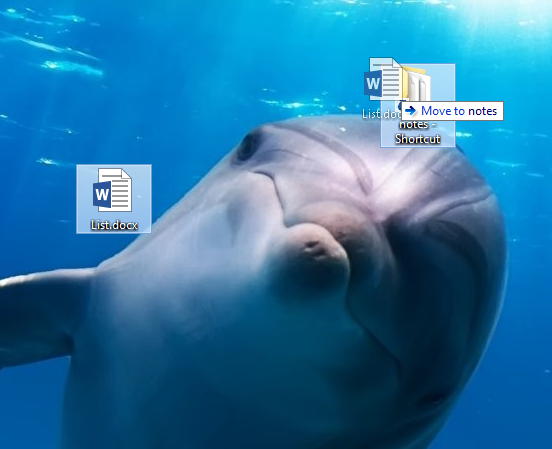 This won’t open the file, but just like the Windows shortcut, just type the new name you’d like to give it and press enter again to save the change.